DIGITAL: LWB 2220 Laura Bush: Speech to the Republican National Convention. Madison Square Garden. New York City. Former President George H.W. 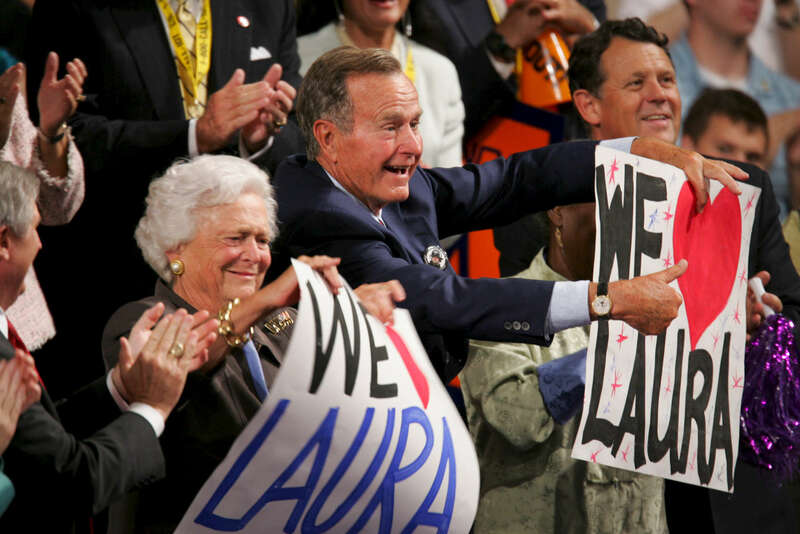 Bush (41) and former First Lady Barbara Bush hold up "We love Laura" signs. Lois and Roland Betts.